Our Momentum Continues in the Third Quarter! To all Midwest Family Agencies: Our results year to date continue to exceed our business plan for 2018. Our written premiums year to date have increased by 7.2%. A very big THANK YOU to all agents for your continued sales efforts this year. We sincerely appreciate your business. Our YTD Combined Ratio is roughly 98 at this time. We had an unusually late August storm that somewhat hurt our 3rd quarter results but not enough to a produce overall bad results. Aggregately, our 2018 storm losses were essentially equal to what we planned for this year. Traditionally, the fourth quarter is one of our best quarters. Thus, we are optimistic we can improve on this 98 Combined Ratio by year end. We are pleased to see Agency Contingencies developing well this year. This is shaping up to be another record year for Agency Contingencies. Earlier in the year, we entered the State of Oregon and initial sales have been strong. The State of Washington's entry is on the doorstep and should occur shortly. With Washington entry, we will have completed our expansion plan developed 8 years ago where MFM's territory of 7 Midwest States became 21 States located in the Midwest, Southwest, and Northwest regions of the nation. We are now working on our next state expansion and licensing project to take Midwest Family into several more states in the future. For those Agents in Indiana and Ohio, please know that Michigan and Kentucky entry is at the top of our list. 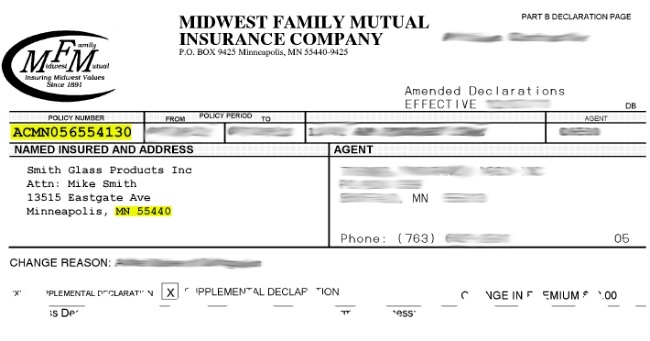 Another success in 2018 was the development and introduction of "Midwest Family Advantage Insurance Company" (MFA). 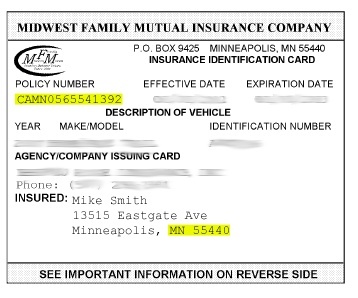 This new Company is a stock insurance company owned 100% by Midwest Family Mutual (MFM).The purpose of the Company is to write new and different products MFM doesn't currently write, as well as, to write similar products MFM currently writes but at differentiated underwriting and pricing qualifications. This new Company is now admitted and doing business in the Company's domiciled State of Iowa only. New sales this year have been brisk in Iowa. Concurrently with our next MFM state licensing project, we will also license Midwest Family Advantage in all states where MFM does business. Midwest Family Advantage will eventually be another tool for you to grow your Midwest Family relationship. Our future is bright! The Midwest Family Mission is: "We serve our Agents first to serve Policyholders best!" We are working hard to earn more of your business. Always know we appreciate you and your business! Enjoy the Fall weather and the Holidays that will soon be upon us.